My daughter and I have been undergoing Invisalign treatment for almost a year now. 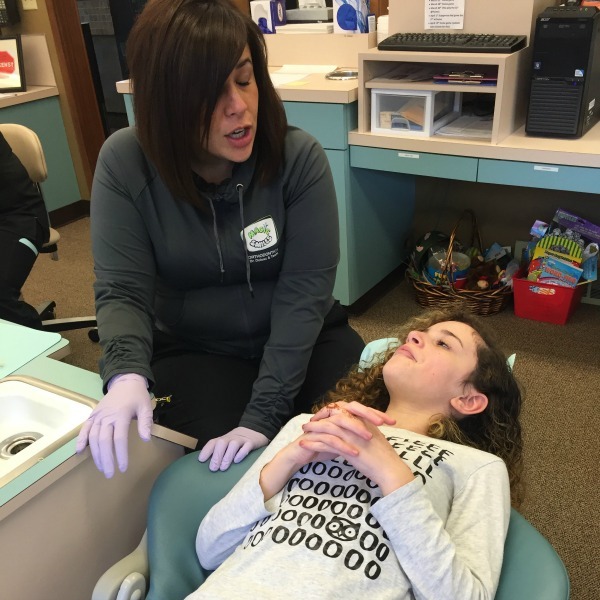 Part of why I wanted to share our treatment experience here is because I was a braces-wearer myself as a kid, and I wanted to know if Invisalign really is a good alternative for kids and adults. We’ve both been such model patients. We’ve faithfully worn and cleaned our aligners, changed them on schedule, and generally been model patients. Until now. We’ve both messed up. This is hard for rule-following me to admit. But I hope it’s helpful to you, especially if you’re considering Invisalign for yourself or your kids. Mira misplaced her aligners. This was my worry when we started Invisalign treatment, but she has been very responsible and it hasn’t been a problem…until now. She wrapped them in a napkin and put them down (at home) and couldn’t find them again. One of the benefits of Invisalign Teen is that the program includes six sets of replacement aligners for free. But our orthodontist told her to simply move up to the next set of aligners which we already had at home. He didn’t seem worried about it. And, sure enough, at our next appointment, he confirmed that her teeth were “tracking” just fine. Phew. Note: You should always check with your Invisalign doctor for specific advice. This one’s on me. All the activity around my book launch has thrown a wrench into my treatment. I have been doing a BUNCH of speaking, traveling, and associated eating/drinking with friends, all of which require me to remove my aligners. That’s okay if it’s just a couple hours per day, but it’s adding up to more than that. I still hear a slight lisp when I speak while wearing my aligners, especially when there’s a microphone. So when I give a talk or do an interview, I take them out. Same for when I grab coffee or a meal. As a result, my teeth now are slightly off-track, because I’ve spent more time than recommended without wearing my aligners. Fortunately, this is temporary, and I’ve been on top of my treatment till now, so my orthodontist feels I have a good chance of getting back on track. Had I not been such a model patient up till now, I’d be in a pickle. And all is not lost: because I’m nearing the end of my treatment, we can add a few “case refinement” aligners at the end to make sure everything lines up. HOWEVER, I share this story because this is the biggest pothole for many adult Invisalign patients! Believe it or not, teens have a much better track record than adults when it comes to responsible treatment, so you really have to commit to wearing your aligners, or risk wasting your time and money. Could I have done things differently? Perhaps. At least I can say there’s a reason, and that I haven’t simply been lazy about wearing my aligners. But I bring it up because not keeping aligners clean is a real issue that can lead to tooth decay during treatment. So this is one area where there’s no wiggle room, unlike the other two problems listed above. As I near the end of my treatment (Mira still has longer to go) I’m as enthusiastic about Invisalign as ever. If you’re you’re curious about it for your kids (or yourself), find an Invisalign doctor in your neighborhood and set up a free consultation. This post is part of a series sponsored by Invisalign. For more information about how I work with sponsors, read my Sponsored Content FAQ.